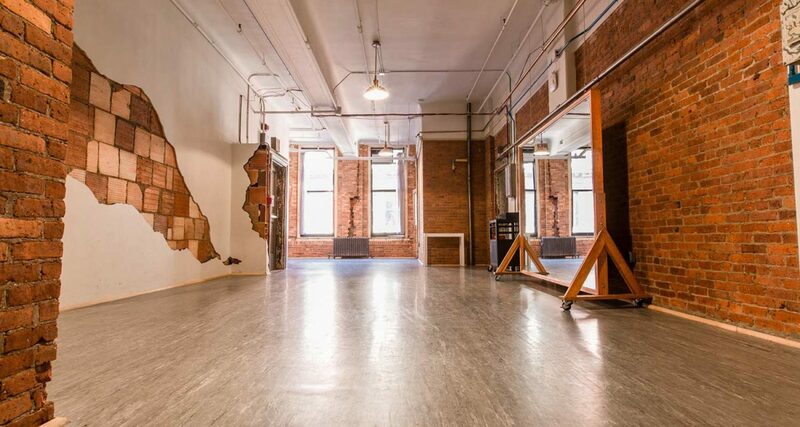 Studio 8 is an artistic, exposed-brick studio with a percussive dance floor and an office nook. 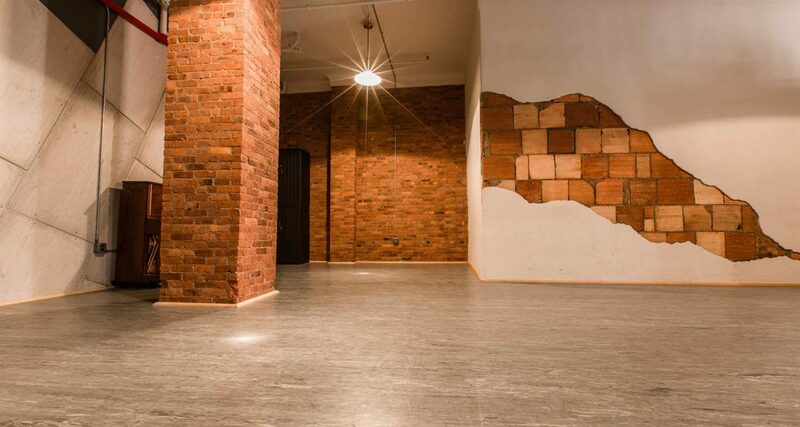 This quirky and flexible space provides a unique backdrop for photo and video shoots in a private corner of 890 Broadway. The space also includes a private bathroom. Use of tap shoes, heels, and indoor sneakers is allowed. Studio 8’s unique exposed-brick walls feature a design created by choreographer Eliot Feld, whose company, Ballet Tech, is located on the 6th, 7th, and 8th floors of 890 Broadway. Before Gibney expanded into this space, it was the home of J.C. Theatrical & Custom Footwear, a renowned cobbler for Broadway and part of the long tradition of craftspeople working in 890 Broadway’s studio spaces.